One of the smartest things to do in business is to become an owner of SMS system. To get this powerful SMS system, you will need a domain name and hosting space. This makes it possible for people to access your system anywhere in the world. 1. Domain name of yours. You can register any domain name of your choice and your SMS system will be customized to have the name of your domain name. You will need to host the system. That is where we will upload your SMS system so that you can have access to it anywhere you are in the world. Others can also have access to it. 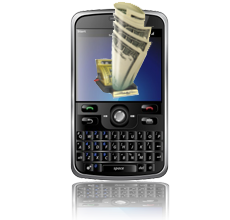 You will need to buy SMS credit units on a regular basis. You will also ensure that your credit units is not exhausted before refunding your account with more credit units so that your users or clients will not experience service disruption. 4. Minimum SMS Credit Units ( about 1,000 Units) at the rate of per SMS unit. 1. A unique website that is accessible to everyone all over the world. 2. Opportunity to choose and register your own unique domain name for the website. 3. A registration page for anyone to register from any part of the country and use your SMS system. 4. Ability for individuals to login to their accounts, manage their contacts and send messages. 5. Inclusion of other web pages like About Us, Contact Us and FAQ. 7. Ability to set price range by the SMS system owners. 8. Access to important statistics that can help you to improve the business. You can login to your SMS System Admin Panel by visiting your website and by using admin sub-directory to access it. E.g., you should have something like http://www.yoursmssystem.com/admin. Here some of the features of good sms site control panel. The SMS System addons are other additional applications that can be included with your website. Some of these add ons are important in generating traffic to your website. For example, a site with regularly updated blog is likely going to appear in search engine faster than a site without a blog. Below are some add ons for some sms website system.